Mowing should be done about 10-14 days after the grass has been installed (depending on the time of year). When mowing, make sure you don’t mow the grass too low or you will scalp it. Usually try to only mow a third of the leaf off. 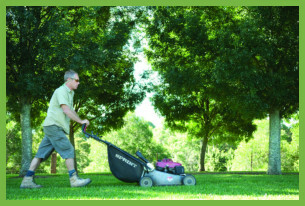 A well maintained mower with sharp blades will produce a high quality finish to your lawn.